I intend to use this blog as a platform to talk about, and engage in discussion about, all things related to immersive computer graphics (what some might call “virtual reality,” but that’s a topic for another post), primarily from a developer’s rather than a user’s perspective. Concretely, this means I will talk about insights gained or problems encountered while writing software, comment on things others have said, discuss my own opinions on how to do things the “right way” or the “wrong way,” post updates on software development, comment on new VR hardware as I get my hands on it, etc. Primarily, because someone suggested I should do it, and made a convincing argument. But also because I have learned from posting videos to YouTube that being able to interact with viewers/readers via comments is useful, and my current static web page doesn’t support that, and I don’t want to make videos about things that are more easily talked about in text. Why do I think I’m qualified to write about this? I’ve been writing 3D graphics software since about 1985, including raytracers, renderers, and geometry modelers. Not long after, I developed my first anaglyphic renderer (which didn’t work so well, but that’s a topic for another post), and I wrote a renderer for single-image stereograms (aka “Magic Eye” images) when I went to university and started getting serious. Entering university was, incidentally, when I realized that I was utterly wrong when I thought that I already was an awesome programmer before (but that’s a topic for another post). After getting my Master’s degree (with a focus on computer graphics, or rather computational geometry), I came to UC Davis to get a PhD. This is when I started getting into “real” VR: coincidentally, the UC Davis graphics group had just taken delivery of an early immersive display environment (IE), a so-called “Immersive Workbench” (see Figure 1), long since defunct. I started developing software for it because I thought it was the coolest thing ever, and because nobody else was doing anything with it — probably because there was absolutely zero software to drive the thing. My official research focus was scientific visualization, but from the beginning, I put a “VR spin” on any programming projects, and did further VR application development during the several summers I worked at Lawrence Berkeley Lab‘s visualization group. 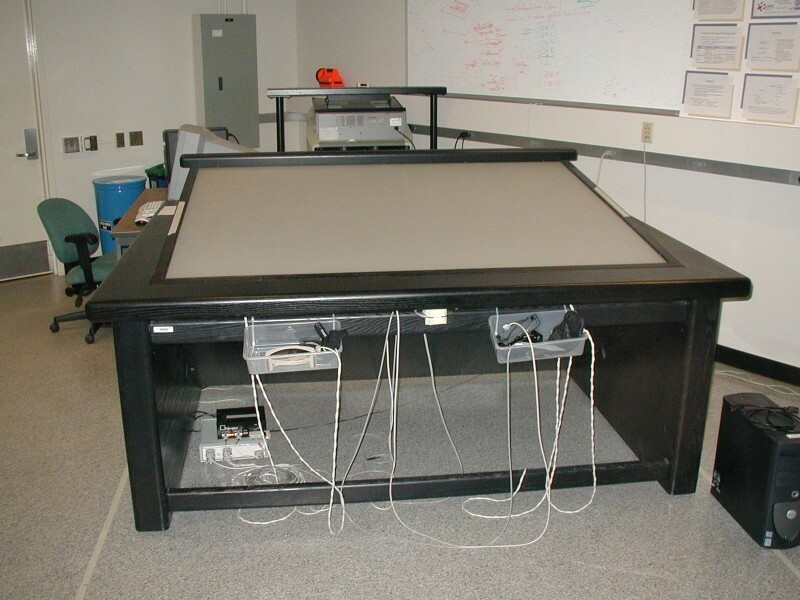 Figure 1: What usable virtual reality looked like in 1998: A FakeSpace “Immersive Workbench.” It’s a reach-in (“fish tank”) VR system instead of a fully immersive one, but unlike VR headsets of the era, it didn’t make the user violently sick, and was practical. Out of my frustration with existing VR development toolkits, particularly the cavelib toolkit I was forced to use at LBL, I started developing my own toolkit and called it “Virtual Reality User Interface,” or Vrui for short, initially as a higher-level library on top of cavelib. After a while I realized Vrui could be more efficient and portable without cavelib underneath, so I kicked cavelib to the curb and never looked back. In 2007, KeckCAVES even branched out into performing arts, by providing interactive 3D visualization capabilities for a modern dance performance (“COLLAPSE – suddenly falling down” by Della Davidson et al.). This was only possible because our scientific visualization software was flexible enough to be used in a theater setting, and to allow dancers to control the 3D imagery in real time. Around the same time, I became interested in remote collaboration, i.e., the idea to connect spatially distributed IEs such that users in them can work together as if they were in the same place. This required two major components: a network infrastructure to connect and synchronize independent IEs, and a 3D video component that creates real-time “holographic” representations of remote users. All Vrui applications are now running on the Vive, which begins a new era for KeckCAVES: our software has always been freely available, but the potential user pool was limited by the high cost of VR hardware. There was always the option to run our software on normal computers in “2D mode,” but at reduced effectiveness. Now anyone can buy a Vive and a computer running it, and use our software the way it was intended. Curiously, throughout all this, I have never been a member of the VR research community proper, in the sense that I have never published papers in VR journals, don’t really keep up with them, only know few other VR researchers personally, and don’t go to VR conferences. I have since found out that my thoughts about VR, and my ultimate goals behind using it, are somewhat at odds with the community (but that’s a topic for another post). In a sense, this is one major reason why I’m writing this blog. So, am I qualified to write this blog? Let me know below. Thanks for the heads-up! Have you seen our AR Sandbox? It’s right along the lines of your post. Our research project, KeckCAVES, is on twitter (@keckcaves). But I personally am not. Correction: I caved, and am now tweeting as okreylos, http://twitter.com/okreylos. Hi Oliver, thanks so much for this blog! I love reading it. The time you spend sharing your experiences and knowledge is greatly appreciated. I’m a recent VR enthusiast and I have a project in mind. However I honestly don’t know where to start. I want to add 2 cameras to the front of an oculus rift and feed a stereoscopic image to the display inside. The intent is take a step toward developing augmented reality applications. Do you have any reading suggestions? Not off the top of my head, unfortunately. It’s a viable idea, but tricky to pull off in detail. To work well, it requires very good calibration between the cameras and the Rift’s internal optics so that the virtual imagery matches the camera feed. You’ll also have to account for the differences in latency between the Rift’s and the cameras’ video streams. You should probably start with a basic text on AR, which should talk about basic calibration problems and approaches. It’s really not my area, so I can’t point you towards anything in particular. I’ve applied for funding to do this with the DK2 in the second half of this year. Just wondering how you got on since the above post? Might be worth us connecting at some point if this is still an area of interest for you. If you haven’t seen yet William Steptoe of the University of London has done a great job with the first Rift. Plenty of reading on his site. I’m not sure about “user friendly,” but my Kinect package has a recording+playback utility that works with any number of Kinects (or, rather, as many as the PC can handle). You’ll have to calibrate the Kinects with respect to each other as I’m describing in Multi-Kinect camera calibration. I’m not aware of any other recording+playback apps. Hey, I thoroughly enjoy your blog, but notice it hasn’t had any posts in a long while, just hoping to see if you are going to keep this up! I work for GINA (gina.alaska.edu) at the University of Alaska Fairbanks. I have built a Sandbox. It will be shown at the Alaska Surveying and Mapping Conference in March 2014. That’s great! I hope it works out well. Would you be willing to share a few pictures from the event for the “External Installations” page on my AR Sandbox web site? Hi, I am a French journalist and I am interested in your expertise. We’re working on a documentary about virtual reality and we’re going to E3 this year. Could we talk? Hi Laurène, I won’t be at E3, but if you’re already in the area, sure, why not. Thank you! You can pay on your way out. Ever attempted to get the DK2 working the RaspberryPi? I’ve never done anything with Raspberry Pi. Hi. I did everythig exept kinect calibration and i think GPU is running properly (bec. i see running water..) But sometimes my screen turn black like broken phone screen..
and other problem is how can i set the screen display over the sandbox, bec display is overflow to sanbox side wall. Thank you..
We are developing a VR shooting simulator to teach correct spatial lead on a moving (flying) object, based on a patented system we’ve developed. Would be interested in your thoughts regarding a gun peripheral for OR. Congratulations, your research is awesome and very helpful. We are having problems with the projector calibration, we did all the steps and didn’t have a good result. If we can have your help, we will appreciative it…!!! Really enjoyed your post so much! Thank you for such an interesting blog and look forward to hearing about more exciting work! I’ve been in the AR/Vr world for about a year now…building an ARVR Women group to promote gender diversity in the field. Now I’m finally able to focus exclusively on my own business. I’m focusing my work on retail applications. I have some questions for you about something I’d like to do..I think it’s pretty simple, but don’t know for sure. Anyway you could give me a ping? I totally appreciate this blog. It’s been very helpful! Discovered this blog a while ago, and totally loved the content. I am working on an expert roundup post about Virtual Reality. Would love to have your quote in there. Can I please have your email address so that I can send you the details. Alternatively, you can drop me a mail at nidhi@arkenea.com. Thank you for all those well written detailed posts on VR technology! Learned a lot. This is a tremendous accomplishment! You are a true scholar. I’m very interested in your work on the Oculus infrared LEDs, did you investigate why the Oculus infrared LEDs are not permanently on? Does this article answer your question, or did I misunderstand you? I came across your blog and wanted to say thanks for taking the time to write it. Hope you are doing great. I was so interested to contact you and I truly believe that you are providing some real value through your superb content. Considering the fact that virtual reality is going to be an integral part of our lives in the time to come – it is mandatory that we take proper measures in order to advance this technology in the right direction. Most probably we would be able to revolutionize industries such as health, education, business, tourism and more. Your scientific contributions and development would definitely aid towards that. I can very very acknowledge that as a fellow engineer and VR enthusiast. We hope that it would help more people benefit from your content. I would like to personally congratulate you as your blog Doc-Ok has been selected by our panelist as one of the Top 50 Virtual Reality Blogs on the web. I personally give you a high-five and want to thank you for your contribution to this world. This is the most comprehensive list of Top 50 Virtual Reality Blogs on the internet and I’m honored to have you as part of this!